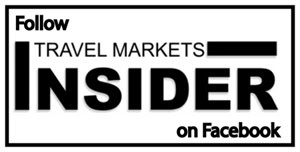 We start out this issue of Travel Markets Insider with a look at the U.S. aviation industry, which has welcomed the new Trump administration with open arms, heralding the appointment of experienced executive Elaine Chao as the new Secretary of Transportation. The industry, which has been chafing under regulations imposed by the last administration, eagerly met with President Donald Trump and senior White House officials earlier this month to discuss a range of relevant topics, and has not been shy in its demands for reform. Roundup begins on page 1. By the Numbers. Canada‘s duty free sales ended 2016 up in both airports and land border stores. Page 4. San Francisco International Airport reports a new passenger record, driven in part by double-digit growth in international traffic. Page 5. Industry events. DFA’s 3rd annual Charity Golf Tournament was a rousing success, attracting hundreds of industry participants and raising a quarter of a million dollars for a worthwhile charity. Page 1. Travel Retailers. Paradies Lagarderè opens three new retail shops at JFK T4. Page 2. Dufry debuts its Hudson concept in China at Chengdu Airport. Page 3. Supply Side. NCL bartender scoops 2017 Bacardi Legacy Cruise Competition win. Page 2. Tito’s Handmade Vodka builds its presence in US duty free. Page 3. Beam Suntory returns to age statements with GTR Bowmore range. Page 4.